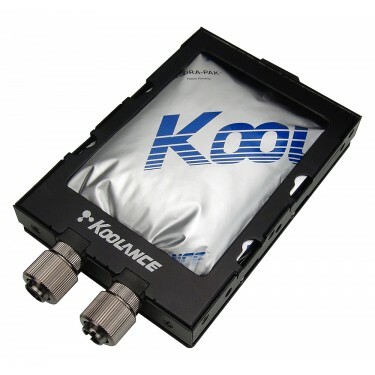 The double sided Koolance HD-57 captures heat from the spindle motor and printed circuit boards of one or two 3.5-inch IDE, SATA, SCSI, or SAS drives. The HD-57 allows any available fitting diameter. Using Koolance's patented Hydra-PakTM soft cooler technology, the cooler's weight is substantially reduced while eliminating the need for thermal encapsulate required by earlier coolers. NOTE: Depending on the fittings chosen for it, the HD-57 water block may not work in all systems. 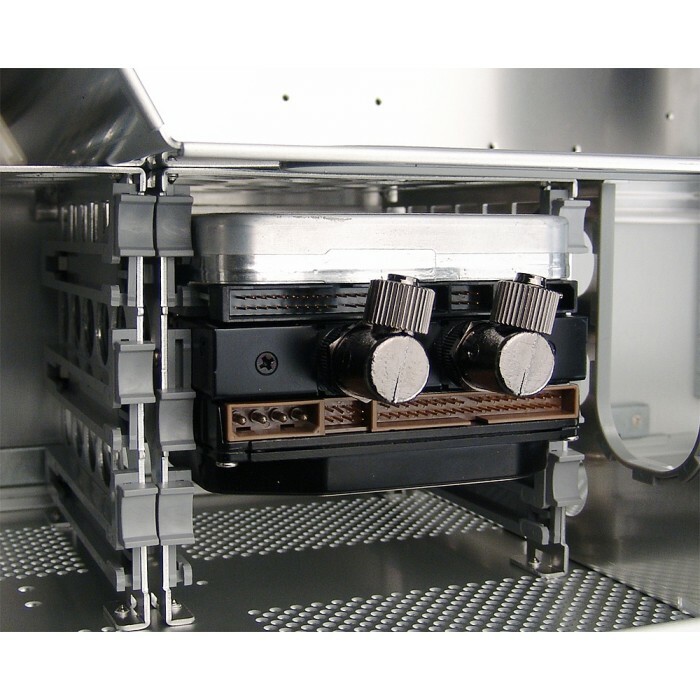 If your chassis places the hard drive connections near a side panel (perpendicular to the front), make sure the selected HD-57 fittings will fit. Each fitting page has a "diagrams" button with dimensions. Furthermore, the HD-57 requires more room between hard drives than other Koolance hard drive water blocks. For a better understanding of compatibility, please click here.